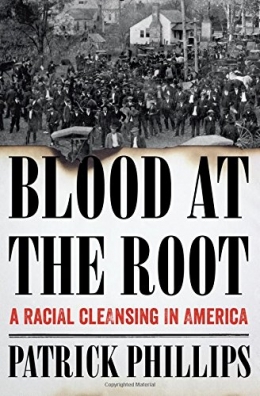 "A gripping tale of racial cleansing in Forsyth County, Georgia and ... testament to the deep roots of racial violence in America ... Patrick Phillips breaks the century-long silence of his hometown and uncovers a history of racial terrorism that continues to shape America in the twenty-first century" -- Provided by publisher. Introduction: Law of the land -- The scream -- Riot, rout, tumult -- The missing girl -- And the mob came on -- A straw in the whirlwind -- The devil's own horses -- The majesty of the law -- Fastening the noose -- We condemn this conduct -- Crush the thing in its infancy -- The scaffold -- When they were slaves -- Driven to the cook stoves -- Exile, 1913/1920 -- Erasure, 1920/1970 -- The attempted murder of Miguel Marcelli -- The brotherhood march, 1987 -- Silence is consent -- Epilogue: A pack of wild dogs. Forsyth County (Ga.) -- Race relations -- History.